Headquartered in Dubai, UAE, Belisar Logistics operates in the Middle East, North Africa and Southeastern Europe regions. We’ve built a responsive company website that speaks about their business. Contact us to learn more about how we can help your business thrive. Eucerin Put Lepote is a loyalty program ran by Eucerin Serbia. Using Photon CMS we've built a gamification-driven loyalty system used by consumers through custom-made iOS and Android application. 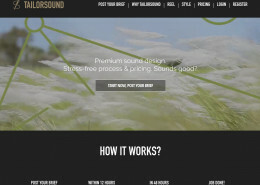 Tailorsound Inc is USA company led by a couple of European professionals that have worked with music and sound for more than 15 years in all sorts of forms that include moving picture, especially advertising and film. The 6 Pillar Fitness is Dubai's biggest and most compassionate gym. Orange Hill Development helped in design, RWD front-end and back-end development. 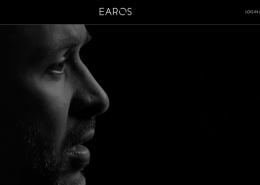 Aearos' aim is to balance outstanding acoustics and a sleek, comfortable design with exceptional value, while creating the state-of-the-art noise cancellation/attenuation device. Orange Hill Development built a Magento 2 based webshop at https://earosacoustic.com.